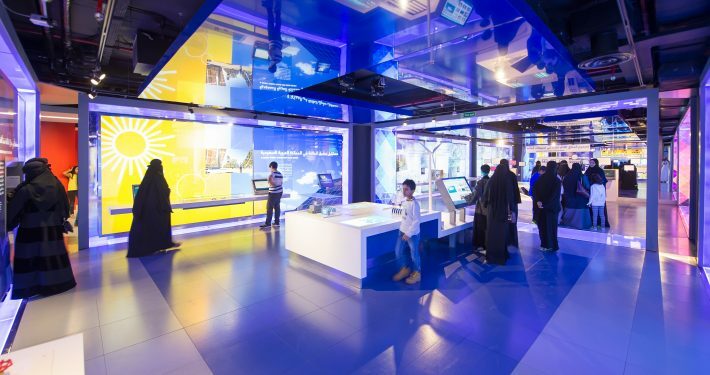 A first of its kind in the region, Mishkat Interactive Center in Riyadh, Saudi Arabia, is a launch pad for learning dedicated to inspiring a new generation of Saudi Arabian innovators. Through our world-class exhibitions and programs we equip young people with the knowledge, skills, and motivation to help secure a bright energy future for our changing world. 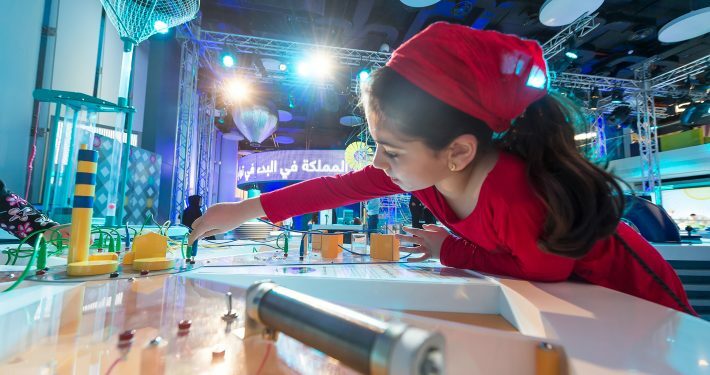 To date, more than 90,000 children have visited our groundbreaking center in the heart of Riyadh, and many more have been reached through our travelling exhibitions and outreach programs. We work in partnership with international experts, local audiences, and the scientific community to make learning an engaging and enjoyable experience for all. Mishkat (مشكاة) is an Arabic word that is used metaphorically in the Quran to describe the light and guidance of Allah (God). A mishkat is a niche where candlelight is protected and given a chance to spread beautifully. Mishkat Interactive Center opts to do with science what a mishkat does to light (spread it beautifully, protect it, and enhance it). Our exhibitions, programs, and projects focus on the theme of energy. Energy is of critical importance for Saudi Arabia, as our rapidly growing population places an ever-increasing pressure on the country’s non-renewable resources. Mishkat makes visible why energy is important, and introduces a world of possibilities for powering a sustainable energy future. We also develop skills in our audience, encouraging creativity and enabling innovation. Mishkat engages audiences using a variety of platforms and techniques. Our science center is open every day during the semester for booked student groups. It is also a hub for family days, festivals, teacher training, after school clubs, and evening events for young adults. 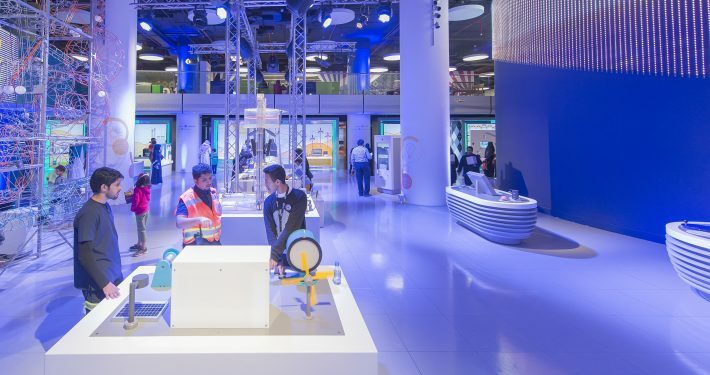 We run science shows and workshops in local schools and national festivals, and engage audiences across the kingdom through our cutting-edge travelling exhibition, Saudi 2050. We have a lively online community, with rapidly expanding Twitter, Instagram, and YouTube followings. Mishkat is the initiative of the King Abdullah City for Atomic and Renewable Energy (K.A.CARE). Created by royal decree in April 2010, K.A.CARE will guide Saudi Arabia towards a new era of sustainable energy, leading the way in atomic and renewable energy to ensure the best possible use of Saudi Arabia’s abundant energy resources. To power this innovation, the Kingdom needs talented and passionate Saudi Arabians to lead the charge. Mishkat was created for this mission—to inspire the youth of today to be the energy innovators of tomorrow. Our male and female teams are dedicated to delivering an enjoyable, educational, and dynamic experience for all of our audiences. Hand-selected and -trained with our international collaborators, including world-leading science centers and museums, our Saudi Arabian team members strive to make every interaction a life enhancing experience.